After almost three decades of service, Urbana Police Sgt. John Purinton retired from the Urbana Police Division on Nov. 10. 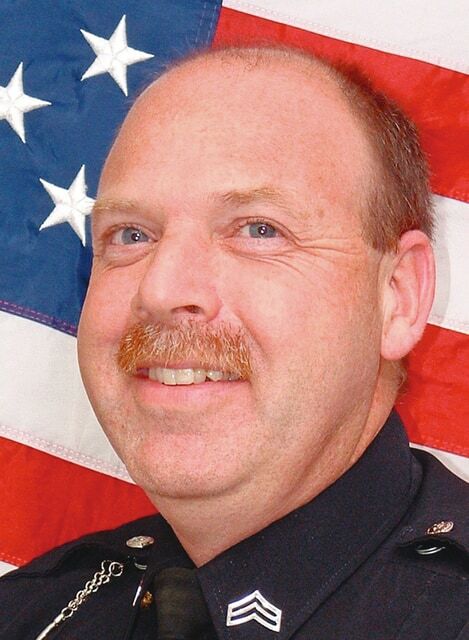 A retirement party for Purinton will be held Sunday from 4 to 7 p.m. at the Champaign County Community Center, 1512 S. U.S. Highway 68, 28 years to the date that he was hired by the Urbana Police Division. Ever since he could remember, Purinton said he wanted to be a police officer. As an adopted child, Purinton found out a career in law enforcement was in his genes. Purinton grew up in Piqua and graduated from Piqua High School in 1982. Purinton’s first police job was with the St. Paris Police Department in 1985 and he also worked part-time at the Bellbrook Police Department in 1987. He said St. Paris Police Chief Jim Pence was helpful during his tenure with the St. Paris Police Department. Purinton completed Basic Police Training at the Ohio State Patrol Academy in 1986 and was hired by the Urbana Police Division as a patrol officer on Nov. 15, 1987. One of the people Purinton said he mirrored after within the department was former Lt. Garry Kimpel who helped prepare him to be a sergeant. While Purinton was hesitant about being a sergeant when he started, he credited Kimpel’s guidance for teaching him what he needed to know. In the early 1990s, Purinton said the city was having a lot of robberies due to drug problems. Purinton went to Kimpel and asked to be taught how to perform drug investigations. Within a three-year period, Purinton said he performed about 25 drug investigations. This work sometimes interfered with his personal life. Purinton and his wife are the parents their daughter, Kacie. In March 1996, Purinton said the division received an anonymous call in reference to a possible robbery occurring at Kroger’s. With nothing else to go on, Purinton went out to the store with fellow officers. The investigation and subsequent work led to the arrest of three suspects responsible for the robbery of the store’s night deposit at a local bank. Purinton was promoted to the sergeant rank on July 8, 1996. Also in 1996, Purinton became the division’s first certified Field Training Supervisor and helped the division develop its formal 11-week training program used in training all new officers. Purinton and current Sgt. Ed Burkhammer went through training together to help change how the division performed field training. Purinton said when he started within the division the initial training process was limited and usually involved a new officer shadowing another officer. The current process gives a number of tasks new police officers must proficiently complete. The case Purinton takes the most pride in was saving the life of a man who was going to commit suicide. The person who reported the incident was a principal from the Piqua area. “Some people may not believe in religion, but I believe God put me there that day,” Purinton said. “My mom had just died of cancer like a year or two before that and she taught in a school in Piqua. The principal was the principal at the school my mom taught and when my mom died they put a plaque in the front of the school for my mom. Purinton asked to speak with the man and learned that the man had recently lost his spouse in a car accident. Purinton and the man were able to relate to each other about losing someone who was important to them. Around a week later Purinton received a voicemail from the man. In addition to this incident, Purinton was recognized with several commendations for his work in rescuing an elderly man from a burning residence on Hagenbuch Street in April 1994 and for his part in investigating the Jessica Rae Sacco homicide in March 2012. An effort Purinton takes pride in was being the information technology person for the division and the city. Purinton oversaw the division’s computer technology programs and records management system. Urbana Police Chief Matt Lingrell stated the division has benefited tremendously because of Purinton’s work and most of their current technology programs are the result of the work he put in to improve the division in records management, radio communications and facility security. When Purinton started working the day shift in 2008, he began working on improving the division’s computer system. Purinton said he tried to learn how to fix things to help save the division money. Another major project he helped oversee was the installation of a digital surveillance system within the city municipal building. Purinton’s information technology skills contributed to part of the reason why he retired. Purinton said balancing these responsibilities became a struggle to do at 100 percent. Purinton is now making the transition into a customer service representative position with the Civica CMI Company out of Englewood. Civica CMI is the company that does the record management system for the Urbana Police Division, Champaign County Sheriff’s Office and the Champaign County Municipal Court along with work for the Champaign County Public Safety Communications Center. Outside of the police division, Purinton has been involved in youth sports as a coach and is a certified Ohio High School referee for volleyball and basketball. Purinton is a graduate of the Northwestern University School of Police Staff and Command and has an associate’s degree in criminal justice from Edison State Community College and a bachelor of science degree in business administration from Urbana University. Purinton said he is grateful he had the opportunity to work in Urbana.